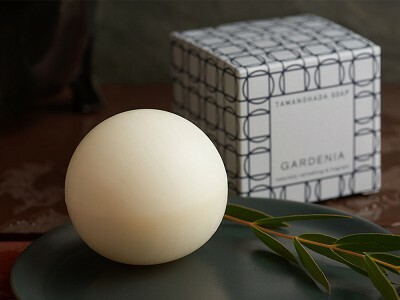 The Japanese soap from Tamanohada is a meaningful gift you will be equally glad to give and receive. 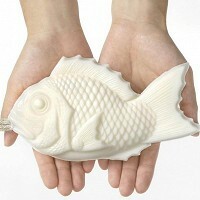 Their eye-catching fish soaps symbolize good fortune and make for the perfect new house, thank you, or good luck gift. And the smaller ball soaps are just as sweet smelling and giftable, too. The soaps are handcrafted in Tokyo where Tamanohada has been at work since 1892. 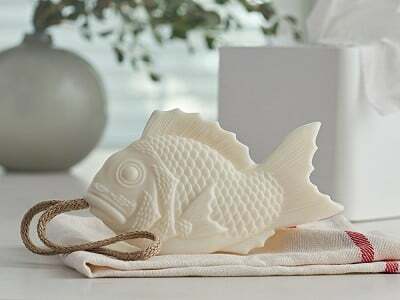 They use a traditional wooden candy-making mold—called a kashigata—to create the larger-than-life fish, which are based on the lucky red snapper. 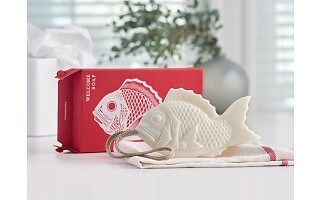 Their petite ball soaps might not be on the same scale as the fish, but smell just as lovely. These soaps have a creamy texture and light fragrance that fits in perfectly in a guest bathroom. 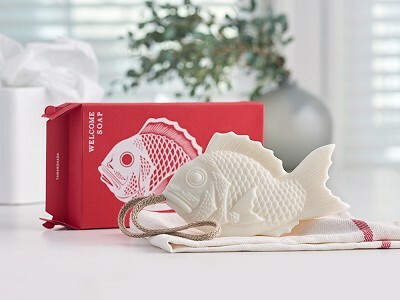 When soaps look and feel so nice—and have special meaning—it’s a gifting win-win.